How to Install TWRP Recovery on Samsung Galaxy J6 using Odin Tool: TWRP Recovery is one of the most popular and important tools for changing the interface and other such things of your Android device. This incredible tool is a storehouse of modders with numerous and fruitful tools to customize your phones just like you want. If you are here to know how you can install and make use of the TWRP recovery on your Samsung device. Let me tell you, you have dropped on the right page. In this article, we have mentioned to you a guide on how to install TWRP Recovery using Odin tool and also flash it so that you can customize the Samsung Galaxy J6. Before getting into the actual procedure of installing TWRP on Samsung Galaxy J6 let us first see a few fundamentals of it. 3 How to Flash TWRP Recovery On Samsung Galaxy J6 using Odin Tool? 5.1 How to Boot into TWRP Recovery on a Samsung Galaxy J6? 6 How to use TWRP Recovery? Odin is a software tool that is basically used internally at all Samsung service centers for updating or flashing firmware to Samsung devices. Honestly speaking, this software tool was never meant to help people publicly but because of the ever-increasing growth of Samsung Galaxy devices, Odin tool is used generally as a means to cover up jobs such as flashing the stock firmware Samsung ROMs, custom recoveries like TWRP, custom kernels, etc. TWRP is the abbreviation for Team Win Recovery Project. 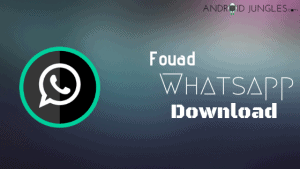 It is an open source software custom recovery for rooted Android devices. TWRP Recovery is a kind of tool by means of which you can take a full device back up, install or flash rooting scripts like SuperSU, Custom ROMs, or MODs, and such similar stuff. TWRP Recovery is a custom recovery that is developed and maintained by the TeamWin. TWRP cab be said the breakthrough when it comes to Android recoveries. It provides the most impressive user interface we have come across in recovery mode, making it a very easy to navigate the graphic user interface; a major jump from the traditional menu based boring and complicated recovery interface found in most other recoveries including the ClockworkMod. It proves to be helpful to install third party firmware and backup your current system. It also supports the installation of custom ROMs, kernels, add-on e.g. Gapps, and other mods. Using TWRP you can wipe, format, install or backup your system. It also allows users to theme it to their liking by editing an XML file, and conforms to the OpenRecovery standard for its recovery operations, rather than going for its own non-standard ways. There is no application on Google Play Store to install TWRP recovery called TWRP manager but for that purpose, your device must be rooted and it is quite a risky task. There are alternative to TWRP such as CWM, PHILZ TOUCH RECOVERY etc. Although TWRP recovery can be downloaded from official as well as unofficial builds as it is an Open Source project and anybody can deal with it for compiling the recovery for their Android device. For downloading the TWRP Recovery, click on the button below. On their official website you will come across almost every Android device and from there you can download the TWRP Recovery specific to your device. Make use of only a certified USB Cable by the manufacturer. Do note to charge your Samsung Galaxy J6 fully, so that it does not make any hindrance in the process later on. Do not forget to Unlock bootloader on your Samsung Galaxy J6. Do note that our page www.androidjungles.com does not take any responsibility for any sort of damage or loss caused to your device throughout the process. We do not have the responsibility of the unsuccessful completion of this procedure. While performing the process, make sure to pay utmost attention on every step so as not to put yourself in any problem. From the below two methods, you can give a shot to any of the below methods as per your comfort. How to Flash TWRP Recovery On Samsung Galaxy J6 using Odin Tool? For flashing the TWRP Recovery with the help of Odin Tool, you will have to firstly download the Odin tool on your Windows PC. Then follow the steps given below for further procedure. Step 1: Begin with Unzipping the Odin Latest .zip file and then run or open the Odin exe file from the extracted files on your PC. Step 2: Once you have downloaded a Odin flashable TWRP Recovery .tar file that supports your device, you are good to go for the next step. Go to the Settings> About Phone> then click on the Build Number for about 7-8 times for enabling developer option. Now once again go back to Settings, scroll down until the bottom most part and then select Developer Options. In the developer Options, search for Enable OEM Unlock Check box or just enable if there is a toggle. Now Press and hold down the Home+ Power+ Volume Down buttons for a few seconds until you come across a warning screen. Then Press the Volume Up on the Warning screen so as to accept it and then boot into the download mode. Step 5: When your device is finally in download mode, then connect your device to the PC through a USB Cable. Now the Odin Window on PC should detect your device and display the ADDED message. Step 6: Then click on the AP tab on the Odin Window and select the TWRP Recovery .tar file that you have downloaded for your device. Make sure you do not click on any other option on the screen. Step 7: Now press the Start button on Odin window and wait until the process gets finished. Once its done, you will see a pass message on the Odin Window. Your device will now itself reboot when the Odin Tool has finished the flashing process. You can then disconnect your device from PC. Step 1. To begin with, download TWRP recovery image of the Samsung Galaxy J6. You can rename it as you wish so as to find it with ease later. Step 2. To enable USB debugging, navigate to Settings > Developer Options > USB Debugging. Note: Unlocking Bootloader is an important step before you install TWRP recovery. It is not recommended to install TWRP recovery before unlocking the bootloader. Step 3. 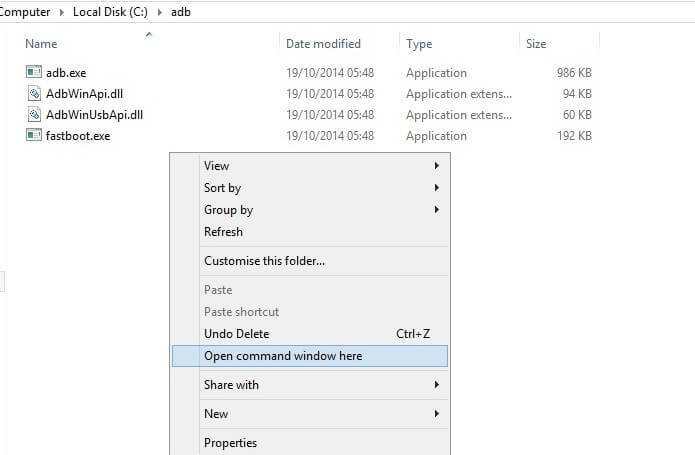 Then open a CMD window inside that folder. To do that, Shift + Right-click on any empty white space inside the folder and then select Open command window here. If you are asked for permission to “Allow USB debugging”, tap OK. Step 5. 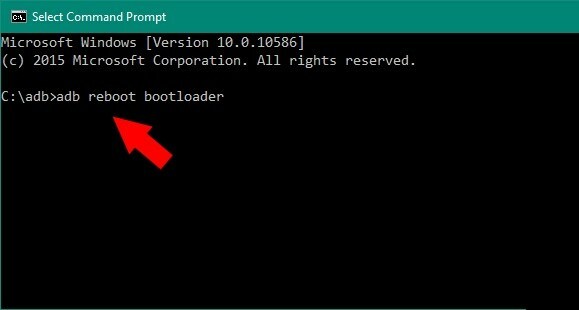 Once your device boots into bootloader mode, type this into the command line. Change the Recovery name with your Downloaded file name. Here modify twrp.img with the name of your TWRP recovery .img file. Step 6. Once TWRP is successfully flashed on your device, type this final command to reboot your device. Step 7. And you are all done! You have successfully installed TWRP Recovery on your Samsung Galaxy J6. Step 1. Beginning with downloading the Flashify App on your Samsung Galaxy J6. You can download this app from Google Play Store. Step 2. Once you have downloaded the App, open it. Over there, you will come across three options. Now, click on the Recovery image as soon as you click it, you will see more options. Step 3. Then click on the Download TWRP option. You will come across one other option over there- Download CWM Custom Recovery but since we have to install TWRP Recovery, consider clicking that. Step 4. 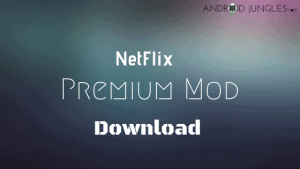 After you have clicked that, it will start downloading on your Samsung Galaxy J6. Once the download gets finished, click on YES Install Custom Recovery. Step 5. Your job here is done now. All you have to do is sit right back and let it install on your Samsung Galaxy J6. You have now successfully installed TWRP Recovery on your Samsung Galaxy J6. You are now free to use it as per your will to customize your device. How to Boot into TWRP Recovery on a Samsung Galaxy J6? Step 1: Switch Off your device. Step 2: Now press and hold down Home+ Power+ Volume Up button for a few seconds until you come across a screen with the logo of your device on it. Then release all the three buttons together and your device will boot into TWRP Recovery. How to use TWRP Recovery? While you are using TWRP to install a new ROM, it is much better idea to wipe the existing firmware to give the new system a clean slate upon which to install. Hence, before installing CyanogenMod, for example, you will wish to wipe the stock firmware from your device so there are no issues later on. From the main screen of TWRP, tap Wipe to begin. The preset wipe mode will work just fine for most of the times, thus swipe the slider at the bottom to perform the wipe. If you are coming across bugs and you need a complete fresh start, or you just want to be entirely sure that there is no pre-existing data left to cause issues, you can use the Advanced Wipe feature from the same screen. From here, all you have to do is merely tick the boxes next to Dalvik Cache, System, Data and Cache, then swipe the slider at the bottom to perform a full wipe. At times, flashing MODs and installing the root apps can provoke Android to sort of ‘forget’ what permissions various apps had to begin with. System-level apps need their permissions set a certain way to perform correctly, so you could end up with minor bugs and force closes after installing a hack. If this ever happens, you can easily reset all apps on your device back to their proper permissions using TWRP. From the main screen, tap Advanced, then choose Fix Permissions from the following menu. Then just swipe the slider at the bottom and all of your apps will automatically be given the proper permissions for their respective folders. Perform full system backups to hold onto just in case you screw something up on your phone. It’s always a good idea to backup before you flash any kind of ROM. As we all might be knowing, this is the main cause forwhy you installed a custom recovery to have access to all of the hacks that come in the form of a flashable ZIP file. In fact, it is such a key feature of TWRP that it is the very first button on the home screen. To start flashing a ZIP, just hit the Install button on TWRP’s main menu. From here, you’ll be shown your device’s internal storage folder tree. As a rule of thumb, ZIPs that you’ve downloaded from the internet will be in your Download folder, so head in there. If you’ve already created a backup and you were tinkering around with a cool mod. But this mod wasn’t compatible with your device, and now you can’t seem to start Android. No worries, you have a custom recovery installed, remember? From TWRP’s main screen, tap the Restore button. Next, you’ll be shown a list of all the backups you’ve made with TWRP. Just tap the one with the most recent date as its file name, and you’ll be presented with the available partition images that you can restore. If you copied the nandroid to your computer, move it back to the TWRP/Backup before you restore. It is recommended to leave everything ticked, so that then you can simply swipe the slider to restore. To get out of TWRP and back into Android, start by tapping the Reboot option from the home screen. On the next menu, simply tap System to boot back into Android. The first option will take you back to TWRP’s main screen, and the third option says it all, restarting the device. The second option, Wipe Cache/Dalvik, is one that is to be noted. Android saves various bits of data as you continue to use it. At times, this data is specific to your current setup. Certain mods will cause conflicts between the new functionality they bring and the existing data on your device. Most MODs, however, will not cause a conflict with this data. But when you are a in doubt, just wipe it out. Simply tap Wipe Cache/Dalvik after flashing a ZIP, then swipe the slider at the bottom to remove any potentially conflicting data. Through TWRP Recovery you can perform a complete backup of your phone. Which tends to be much more powerful than the Titanium Backup. You can restore a full backup in one simple step. And take a backup of your current data and restore it whenever you want to on the Samsung Galaxy J6. Perform a Hard Reset “Wipe” with advanced options. Standard Setting doesn’t wipe Media. You can wipe cache and reset your smartphone. You can obviously root your device. And also install ZIP files and custom ROMs on the phone. The most significant backlog of all, the user will not be able to get OTA updates anymore on the Samsung device. TWRP Recovery will perform scheduled backups. But it will not back up media. Also you may end up bricking your Phone if you do not follow the steps correctly. Here are some of the often used words that are pronounced with TWRP, let us get see what they mean actually. Rooting describes the process of getting administrative privileges on your Samsung Galaxy J6. You need those privileges to mount your system partition as read and write so you can modify the files and settings. 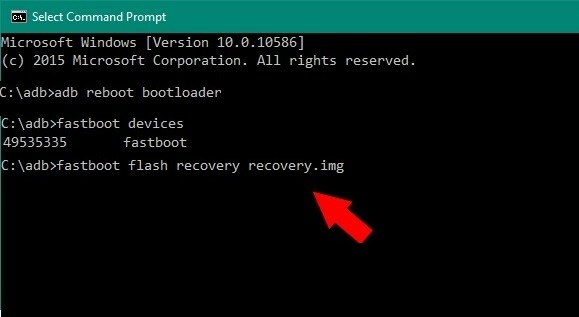 Most of the time you will have to boot your phone into the bootloader and then flash a root file (like the one from ChainFire) from your computer but there are also apps which can enable the root access by a simple click for certain devices. The recovery is another system from which you can manage or wipe or reformat your partitions. TWRP refers to a custom Recovery which allows you to install custom ROMs in a zip format. The recovery follows the directions which are contained in the ROM zip file. The low-level implementation of a system which can be used to flash software onto your phone’s partitions. Often used to flash root privileges or Stock ROMs. The Samsung Galaxy J6 was launched in May 2018. The display type on Samsung Galaxy J6 is AMOLED Capactitive touchscreen with 16M colors. The Android OS is of Android 8.0 Oreo. An Octa-core CPU and Mali-T830 GPU. The battery of Samsung Galaxy J6 is non-removable with Li-Ion 3O00 mAh Battery. The color of the device being Black, Gold, Blue. it is priced at about 180 EUR. So, Guys, this was all about TWRP Recovery, how to install it by using Odin Tool, some of its features advantages and disadvantages as well. Also, we have mentioned how you can make use of this incredible tool. Hope you guys found this article useful in achieving your aim. Keep visiting our page Android Jungles for more or you can also subscribe to our newsletter to receive timely notifications of our tech-related articles. If you come across any difficulties in any of the steps, feel free to let us know in the comment box below.